Amidst the hype of Bitcoin Legacy reaching a $20,000 high, CBOE and CME Futures, and today, even Litecoin is finding a new high, perhaps many people have forgotten about Bitcoin Cash. From the persepctive of a trader or an investor, this is indeed a very good thing. Why? The answer is simple. The herd is always wrong. The best times to sell are when everyone is euphoric and greedy and the best times to buy are when everyone is depressed and fearful. The reality of why is simple. Fundamentally, Bitcoin Cash is Bitcoin. It's a pure hard fork of original Bitcoin, adhering strictly to the original whitepaper of electronic peer-to-peer cash. Bitcoin Cash is not an altcoin. It is a fork of Bitcoin. The major changes made during this fork are the blocksize went from 1MB to 8MB, and the way mining difficulty, which affects how often blocks are found for how much hashpower is on the network, changed from an adjustment every 2016 blocks, no matter how long they find to change, to adjusting each and every block based on the hashpower of the previous 144 blocks. So, why should you care about Bitcoin Cash? Bitcoin Cash is a fork of Bitcoin. Not an altcoin. Market cap and trade volume reflect this. Dramatically. This is your answer to "why not Litecoin?" 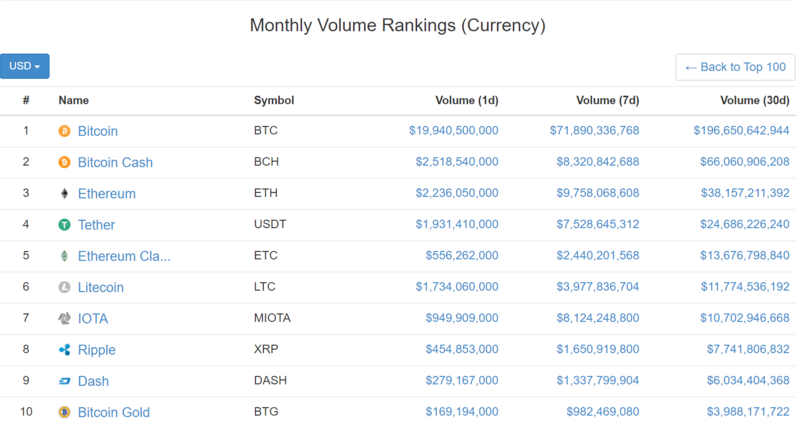 Because Bitcoin Cash is #2 by both market cap and trade volume in the last 30 days, being almost double Ethereum. 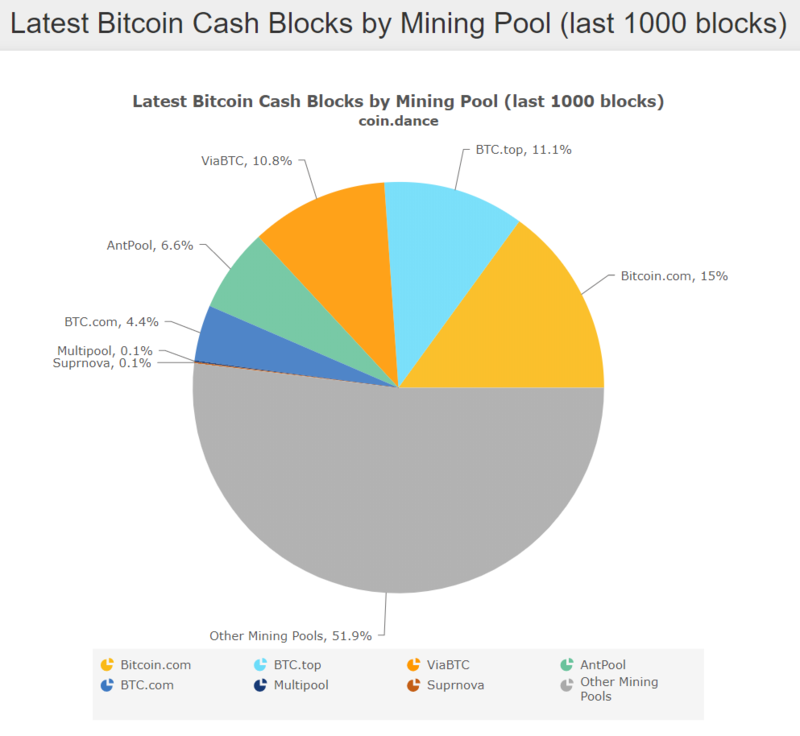 Even under the condition wherein hashpower is over on the BTC chain taking advantage of it hitting $20,000, we still see Bitcoin Cash churning out blocks in a healthy fashion. Bitcoin Cash has a community whose growth is going parabolic. Real users are catching on and real businesses are starting to see adoption. ViaBTC is launching a new exchange that will have Bitcoin Cash as a main trading pair. You want to see a pump created by global, organic demand from a fixed supply? Wait and see. 2018 is going to make non-believers eat crow. Bitcoin Legacy fees are $62/byte. Bitcoin Cash are 0.016/byte. Bitcoin Legacy requires hours for a confirmation. Bitcoin Cash will confirm on the next discovered block. Price action has shown a proper reversal from the $1100 area. We had a $450 immediate bounce followed by an obvious flagging pattern. This pattern has persisted through consolidation and is now looking to break upwards. As of immediate time of writing, we've had a break upwards after consolidation inside the kumo. Hourly chart shows Kumo twisting green. Tenkan-sen is breaking out of the cloud and lagging span is very close to following it on the 12 minute chart. Short term price action shows a shorter-term flagging pattern, but is yet to break upwards. If this pattern breaks upwards and out of the downtrend line at approximately $1,500, we are looking at a run towards $2,000. I’ve decided that I’m going to set the pricing for the trade structure at $9.88. Why did I come up with this number? I think if people are willing to pay an exchange $8/BCH to push a button, that at this price, there should be sufficient value in both my fundamental analysis and having a trade structure to follow with an analyst's continual updates. I won’t even get started on what it would cost you to transfer 0.09 BTC right now. Multiple updates as price action progresses. I lean toward "Sell into BTC and then buy Monero or Litecoin", but that's only because I consider both of those "solid long-term investment" coins that I'd be willing to hold onto until they recover if the price dips/tanks. Any suggestions? @Tom - You want something that you can both transfer and redeem for value, especially if major market calamity happens and everything goes bearish. Trying to hold shitcoin bags for 3-12 months is a painful experience that 99% of people will lose money on before price recovers. Bitcoin Cash will always have a working blockchain, and right now, Bitstamp is a fiat offramp with 0% fees until the end of the month. Honestly, I can't think of anything better than actual USD/EUR. There are problems with all other coins including BTC during a lot of the most important and most chaotic situations. @Dan - Futures are going to lead to a short of Bitcoin for sure. I have a new developing set of thoughts on this that I'll probably post about soon because it's too much for how long all of this already is. I don't think it's going to happen tonight though. @Comdaz - I am actually. I don't feel particularly inspired by too many coins at the moment, but I'm taking a look at a few right now. Ripple may be something I take a deep dive into and look at more. @Dan - Yes, they will short Bitcoin now that's fiat settled and on regulated exchanges. They can't help themselves. Didn’t know that about Bitstamp., thanks. I’ll take a peek and reach out if I have any more questions. Bought a few more to add to my core position, and my trade position. Hope for the best! Btw, Hitbtc , Okex and Bitrex trade volume has been close or above Bithumb and Bitfinex trade volume for the past 24-48 hours. Wouldn't that be a good sign that other exchanges are getting into the BCH train? Well was a fun ride.. Very much appreciate the "round the clock updates". I'm in Australia so I tend to not get the big moves until Asia was up the same time and then late at night. So what is your thoughts on this new exchange which is going to use BCH base trading pairs ? Surely this is a good thing for Bitcoin Cash ? I have heard another theory .. They think they are going to short the coin and buy the futures. CME trading will be hauled constantly due to the massive swings. 7 of the last 10 days would have triggered haulting of the futures ..
Secondly .. the theory was that once they have millions of $ of shorts on, the institutions will then use their political influence to try to outlaw Bitcoin in the US, causing massive panic (like china FUD) in the short term .. thus making them a fuckload of money. More and More reason why trading pairs with BTC and swapping with BCH would be a good move. US pollies and the IRS arent going to stand by and watch millions of people make money without having a piece. Great analysis, thank you. Are you considering reviewing more alt? You made good calls about Neo and IOTA before their bull runs with entry and exit point. I would love to know you analysis about other coins. Bitcoin Cash may prove itself to be the greatest bear trap of all time. ?? ?